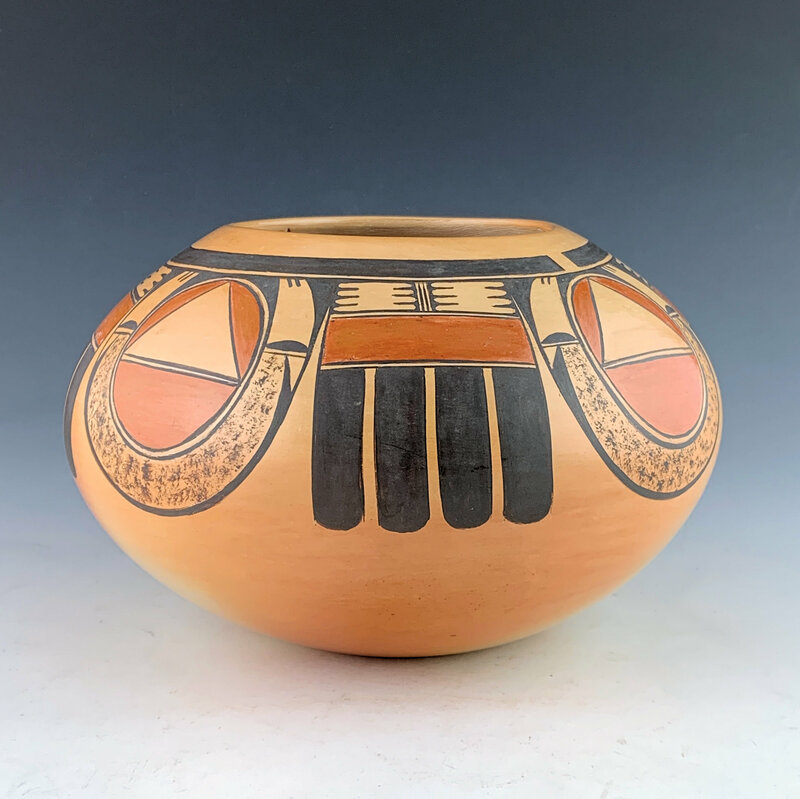 This is a traditional bowl by Dextra Quotskuyva. 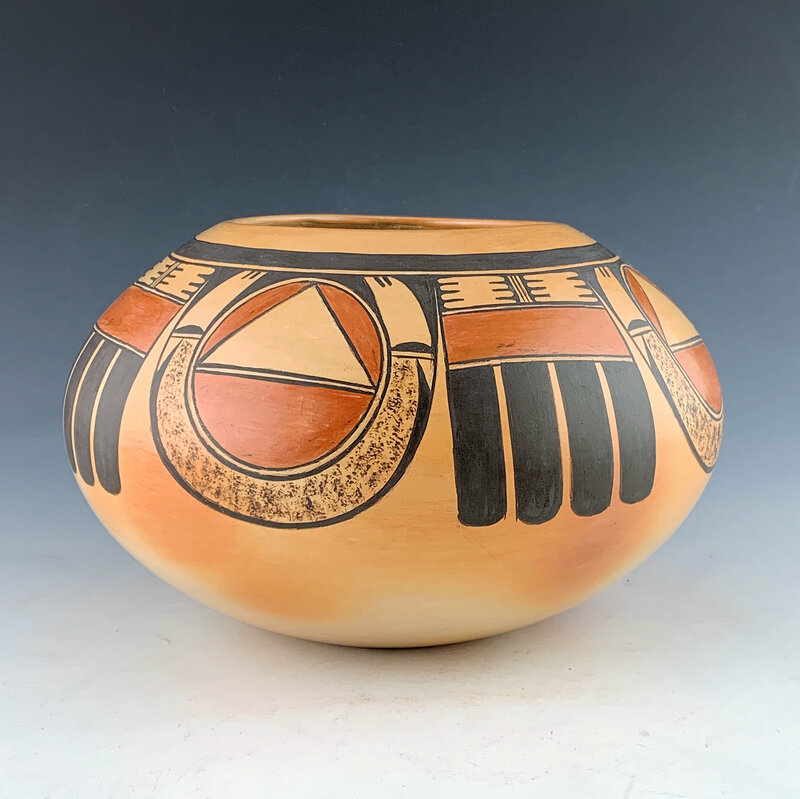 She is certainly one of the great innovators among Hopi-Tewa potters. Her work began with more classic imagery and then has evolved over the years to more unique and stylized designs. 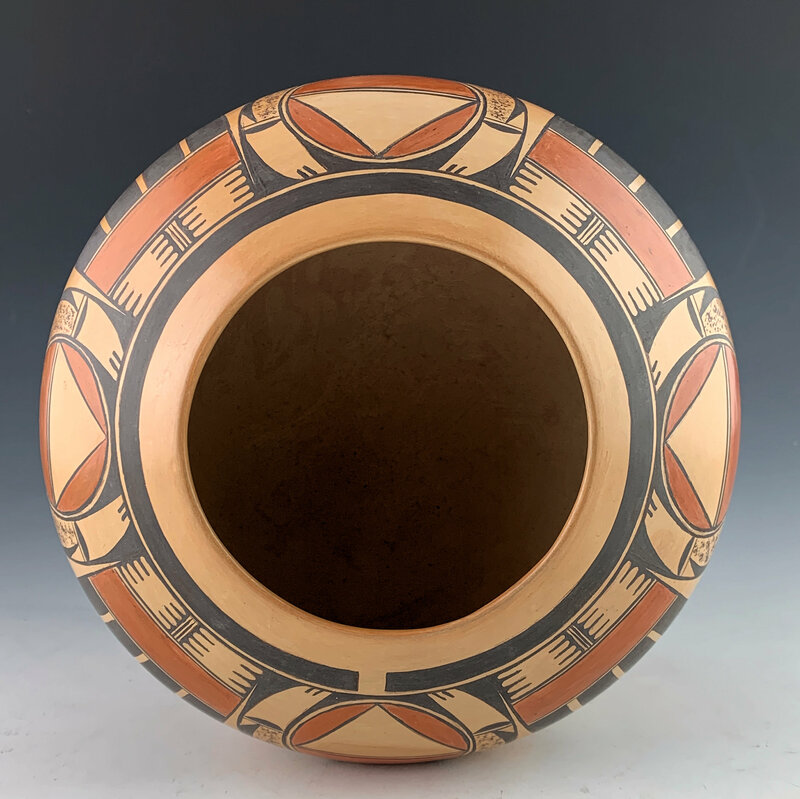 This piece is from the mid-1980’s, which can be seen in the color of the red clay, as well as her signature. The bowl has a series of Red Tail hawk tail feathers painted in four sections. Separating each of them is a triangular design, which represents the back and wings of the birds. The red areas are stone polished and the black is painted with bee-weed (a plant). 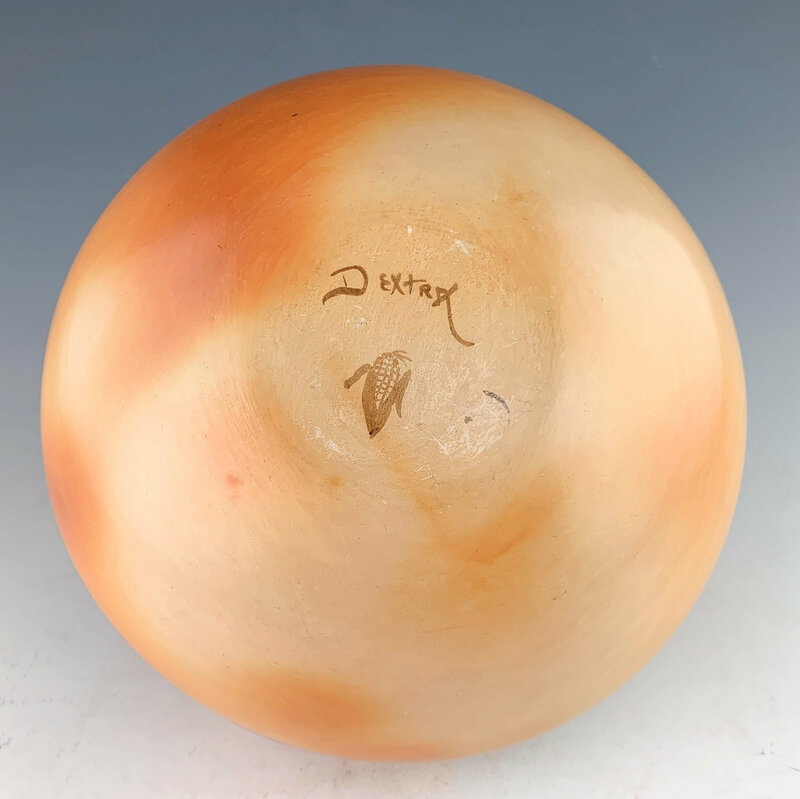 The bowl is traditionally fired so that there are blushes and color variations around the surface. It is signed on the bottom with bee-weed, “Dextra” with an ear of corn representing the Corn Clan. The jar is in very good condition with no chips, cracks, restoration or repair. 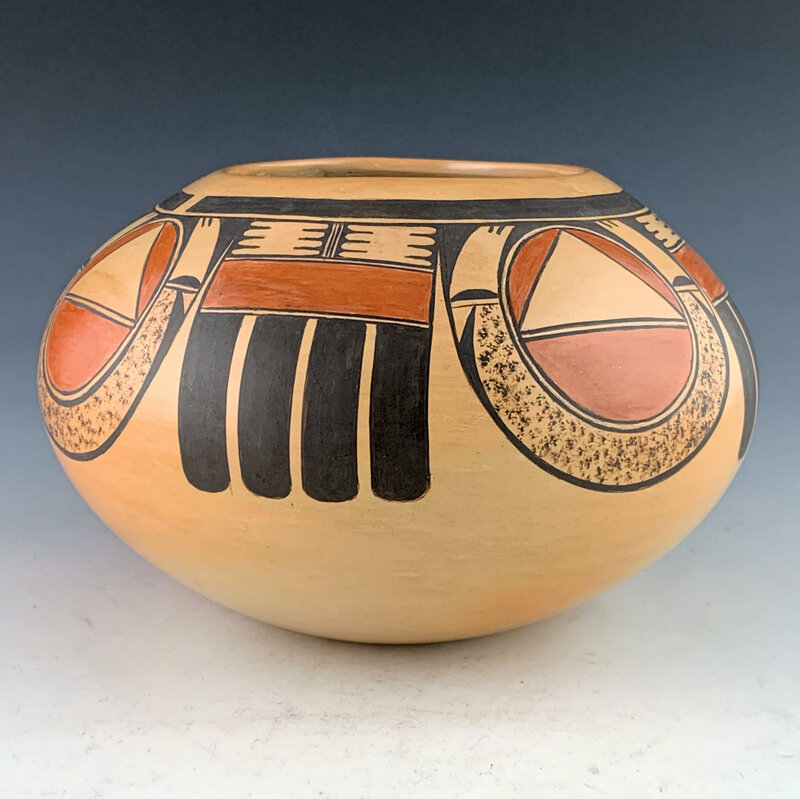 Dextra has been the subject of a retrospective of her pottery at the Museum of Indian Art and Culture called, “Painted Perfection“.